Cosplay ShowcaseKotaku's Cosplay Showcase is a feature that highlights the unique work of cosplayers, artists and photographers as they seek to tell new stories and push the boundaries of the craft. 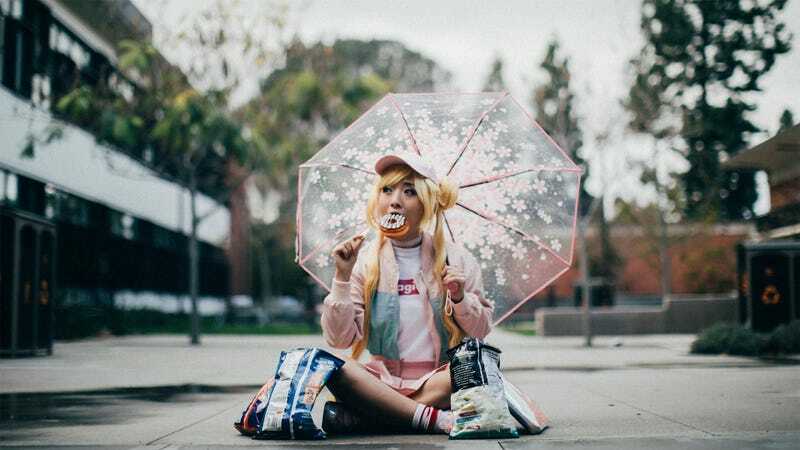 Inspired by, of all things, this 2015 post about a Korean fashion store, a team of cosplayers, photographers and videographers got together last month and produced this absolutely incredible Sailor Moon fashion shoot. The project was assembled by CineCosu Studios’ Dominique Zamora. “I wanted to shoot a cosplay editorial that highlighted not only the scouts as the fun, goofy teenagers they were, but also paid partial homage to the fabulous fashion of the ‘90s”, she tells Kotaku. Here’s a video that Kevin Truong, Ilja Maran and Justin Element shot of the team, which featured cosplayers Stella Chuu, Hendo, Akemi101xoxo, Maid of Might and Jynx. “Being a female cosplay photographer in a mostly male-dominated industry, I also wanted to shoot something unabashedly girly”, Zamora adds. Shot on location at California State University Long Beach, the day wasn’t just about making a video. The production involved more names than I listed above, so the final photo here lists the full credits for the team involved in putting everything together.